Composed by Alan Menken and Howard Ashman. Arranged by Steven L. Rosenhaus. Pops For String Quartet. Movies, Disney. Full Score and Parts. 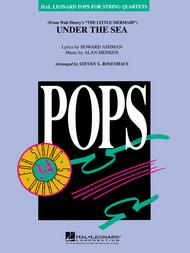 Published by Hal Leonard (HL.8721990).